I'm not sure it needs to be at the same time. Remember the Wii didn't suffer the same fate as the Wii U. If everything else about the release is spot on, then it doesn't matter really. Nintendo's downfall really is that their audience matured and their current games don't hold the same rapport with kids that they did with us. That's not to say they're not still fun games but the majority of people who played games on Nintendo consoles before are now older and Nintendo doesn't really do much to accommodate for that. 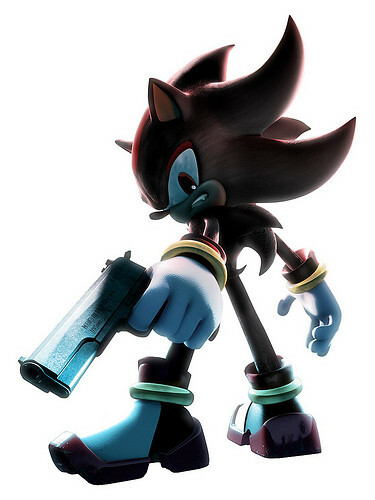 There was a video about how to revitalise the Sonic franchise not too long ago that dealt with the points that the average gamer is now aged 20-30, combine that with the kids "age range" narrowing from young kids to teens in years gone past to just young kids due to the presence of CoD and other high action shooters dominating the market. It all just means there's not the same demand for Nintendo's main brand of games as before and to most people there's just nothing on offer to warrant getting the systems. You can release and have great games and advertise all you want, it's still not going to change the fact that Ninty's target audience is smaller than ever and the people who have the greatest affinity for their franchises are now all in their 20s or older and they're not being appealed to. JenovaPX wrote: how to revitalise the Sonic franchise not too long ago that dealt with the points that the average gamer is now aged 20-30, combine that with the kids "age range" narrowing from young kids to teens in years gone past to just young kids due to the presence of CoD and other high action shooters dominating the market. Yep, a knee jerk reaction to the problem that addressed and solved none of the problem. Still game of the generation though. Modern Sonic is ok but I'm not sure why I still play sonic games, they were past their prime before I ever played a computer game. I'm not sure how Sonic manages to keep a loyal fanbase, he's just a mascot. Pacman is also a mascot, but I have no desire to play those weird pacman platformers, just because of the goodwill from the original Namco game, whereas I'll probably end up getting Sonic Boom solely because the first 3 were so great.....2 decades ago.